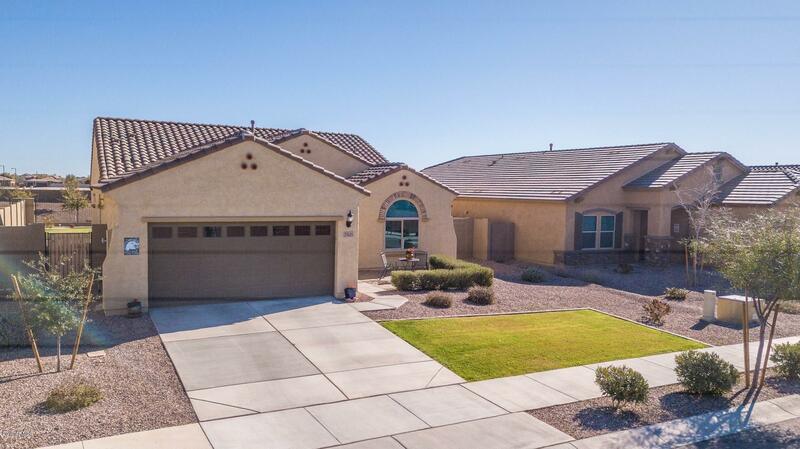 All DESERT OASIS PARCEL L13B homes currently listed for sale in Surprise as of 04/23/2019 are shown below. You can change the search criteria at any time by pressing the 'Change Search' button below. "LOCATION, LOCATION !! This amazing location in a Desert Oasis has a Beautiful backyard that backs to a Greenbelt and is a MUST SEE !! This upgraded home has 3 Bedrooms, 2 Baths, a Tank-less Water Heater, soft water system, and direct gas for outside BBQ. Just minutes away from the Community Park with Pool, basketball courts, playground, Splash pads and walking/biking paths. Energy efficient and move-in ready, this home will not last long."